Peter Orins project could be called an accompanied solo. The drummer has designed an electronic device autonomous enough to influence him in his play in an almost unpredictable way. Therefore a kind of dialogue is established between the musician and the electronics where the usual roles are reversed: the drummer offers an insistent and repetitive form, transformations and random treatments performed live cause the disorder conducive to improvisation. Magnified timbres or on the contrary disturbed rhythmic progressions cause welcome accidents or extend the resonances of the instrument. 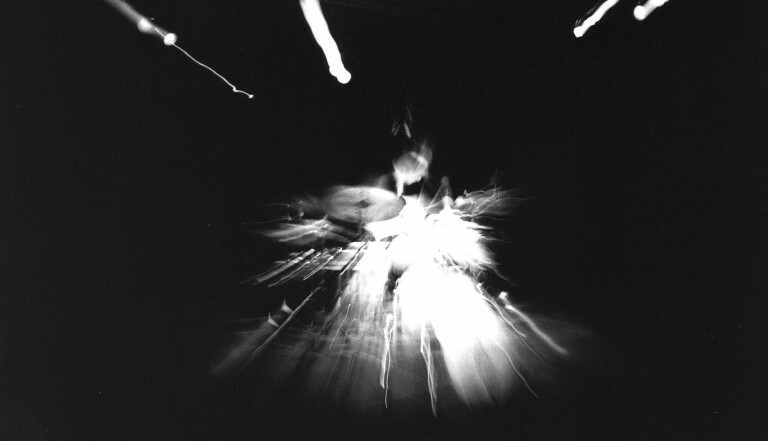 In this game between natural timbres of cymbals and skins and amplified deformations of the electronics, Peter Orins seeks vibration and saturation to produce a music made of extreme and powerful rhythms and sound textures.